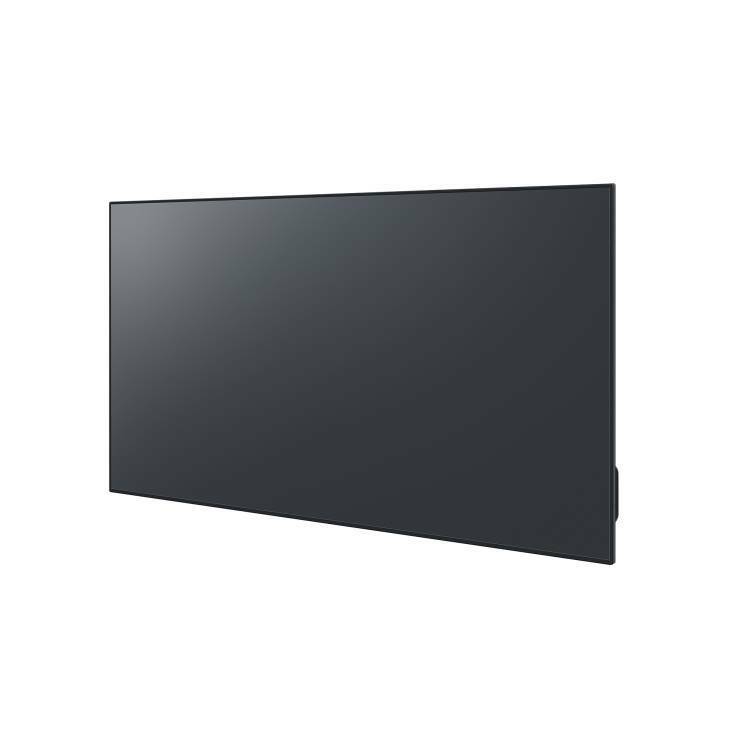 This slim design allows effective space utilization in stores, showrooms and conference rooms. With a depth of less than 82 mm, it is also not oppressive when mounted on a wall. Available in four sizes: 75, 65, and 32 inches. The bezel is about the same width all around the perimeter. On the 65-inch model, the bezel is only 13.9 mm wide on the top and both sides, and 14.9 mm on the bottom. This slim bezel design helps viewers concentrate on the screen image. In addition, when replacing, for example, a 60-inch PDP TV, a larger, 65-inch model can fit into almost the same space.